Like many second-generation Chinese immigrants growing up in the UK in the 1980s, Andrew Wong was the son of restaurateurs. His parents opened Kym's in Pimlico in 1985, serving food that "was Cantonese-heavy, obviously, because that was what Chinese food was in the Eighties. "My mum's an awful cook," Wong says. "She used to give us sugar sandwiches. My dad was an OK cook, but he was more interested in the business side of things, and he was very good on the floor." Restaurants may have been in his blood, but Wong's career as a chef came almost by accident. After short-lived stints at Oxford University and then LSE, he returned to the family restaurant in 2004 to try and fill the void that was left by the passing of his father. It was a pivotal moment: eight years later – after time spent honing his craft and feeding his passion for Chinese cuisine, along with a voyage around China to learn as much as he could about the diversity of food and culture in his ancestral home – he and his wife Natalie closed Kym's in 2012 and reopened it as A. Wong the same year. 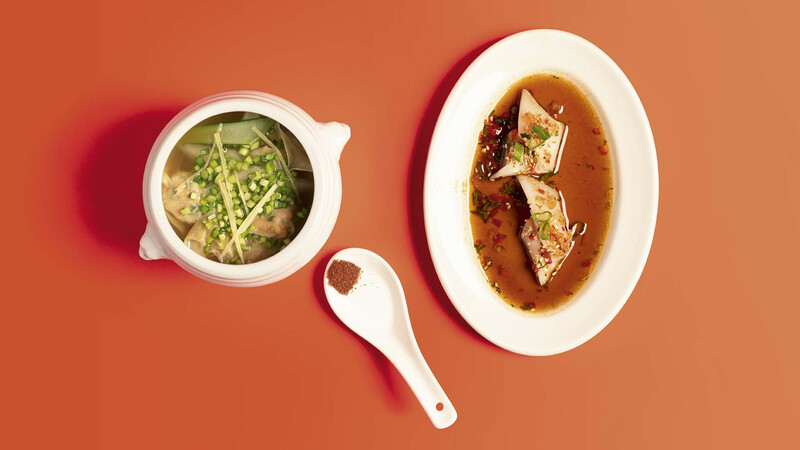 Since then, it's garnered near-universal acclaim for its take on regional Chinese dishes and its ambition to drive conversation around what Chinese food really is. It won a Michelin star in 2017. The difference between the two appears stark: while the aim of his parents' restaurant was to provide a service, Wong's interpretation of the same venue is a concept – he serves foams atop traditional dim sum, operates within the upper echelons of the restaurant industry, and makes it his mission each day not only to better understand Chinese cooking, but to use food to educate his diners, too. 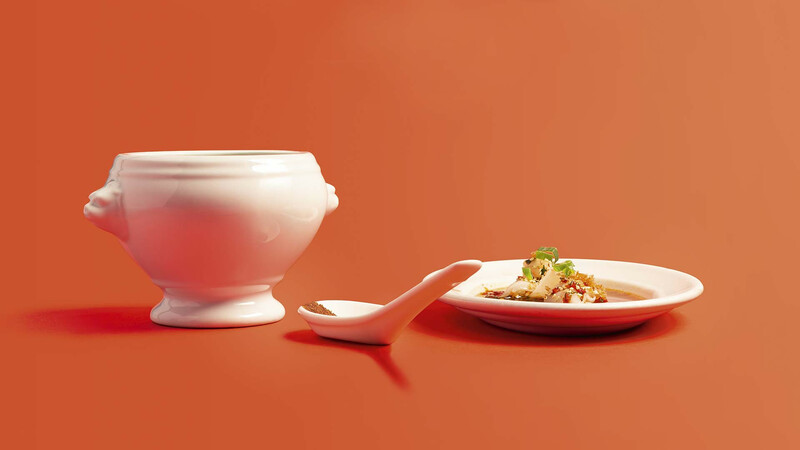 After six years of runaway success, Wong opened his second restaurant this year. Housed in the slick new Bloomberg HQ near Mansion House, it's a loungier space, different in feel and in concept, which has already received similar acclaim to his first. The name? Kym's. 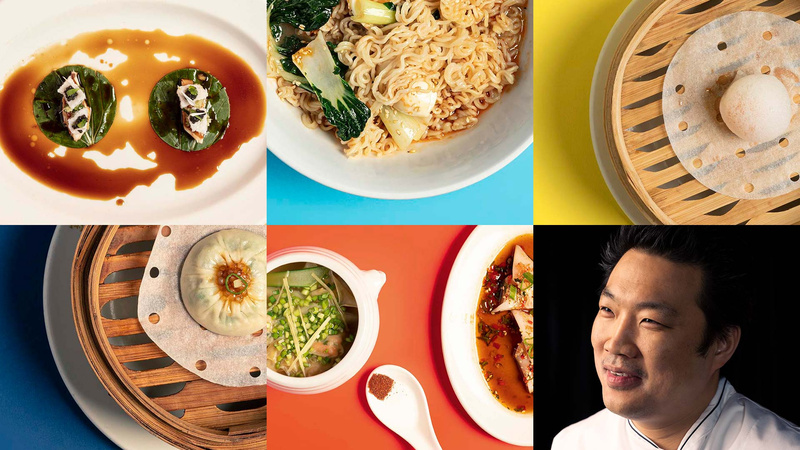 It might feel like a career that's gone full circle, but the truth is, as his five dishes suggest, Andrew Wong is a chef who'll never stop moving forward. The core ingredient is instant noodles. And actually that's not so much professional – it's more because the one uniform thing I have in my life besides my family is going home at night and eating instant noodles. 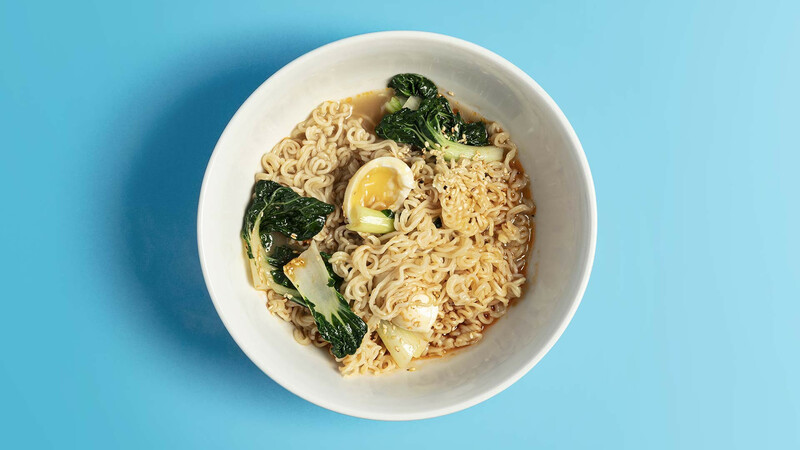 But, you talk to most British-born Chinese chefs, or all across the whole of China, and they're very, very particular about their instant noodles. I've cooked with fresh noodles, we make noodles. But in terms of instant noodles, Nissin is my brand of choice. It's iconic within the Chinese community, so it's very important that we include it. Normally if you go home at night, it will just be a case of taking whatever's in your fridge and lobbing it into a pot with these instant noodles. Yesterday I had some watercress and some leftover fish balls in there – you just throw it all in and that's dinner. So it's a very, very important dish, because chefs don't eat foie gras and truffles when they get home. 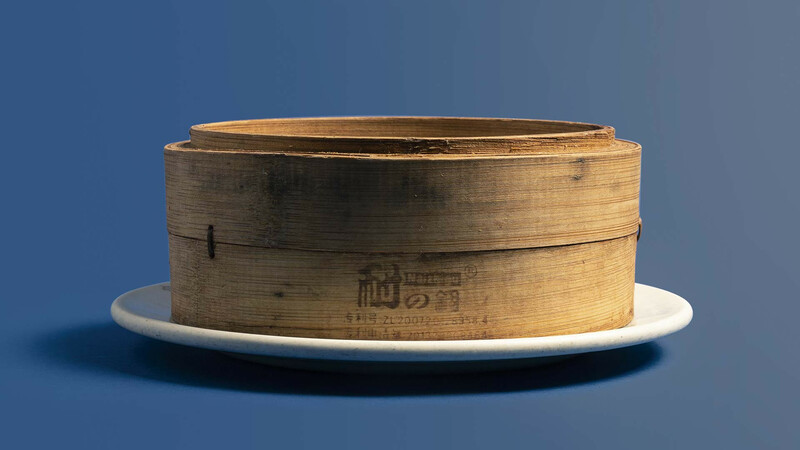 The Shanghai dumpling, professionally, is very important to me, because it's a dish in name that has always been on our menus. 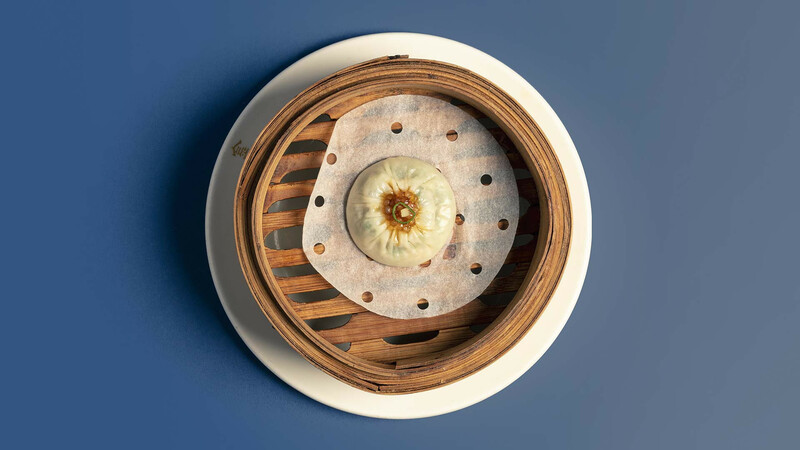 Even when we first opened there was a Shanghai dumpling with pickled tapioca on top, pickled ginger, and a little bit of spring onion on the menu. Over the years, in a kind of covert way, we've learnt a lot about it. Making the pastry has been a massive journey in terms of understanding the science of starches, the science of flour, and how it behaves; learning about the stock and how it jellifies, plus we inject vinegar into the dumpling now – it really has been a constant evolution to what it is today, and I'm sure it'll continue to evolve. 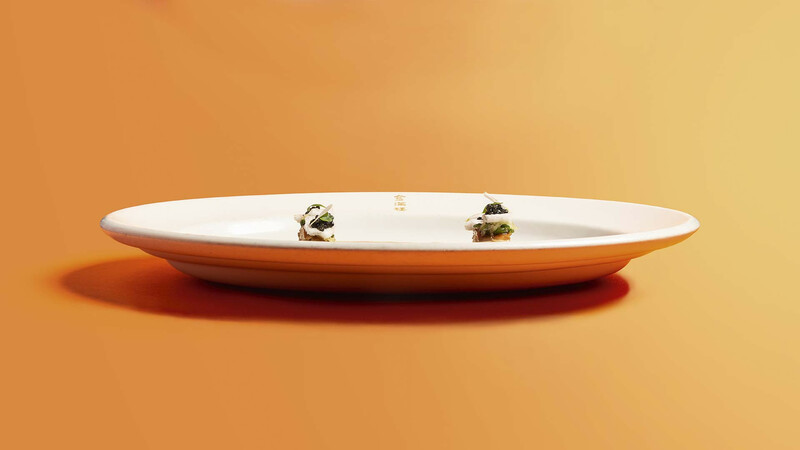 Many, many hours have gone into finding small things to tweak the dish. That's why it's very important to me. Har gao means prawn dumpling. This dish is one of the few times that we use foams on our menu, and it's the one time I eat something where I really understand what foams actually do. Foams aren't meant to be just for people who do cookery competitions – there's a purpose to them: they're basically aerated sauces. 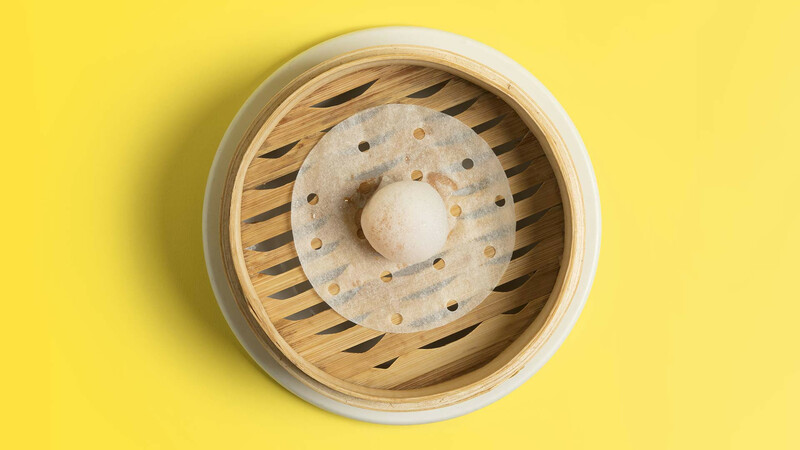 With this particular dish, it's a very simple foam made up of rice vinegar, sugar, water and lecithin, and it adds an incredible dimension to the dumplings. 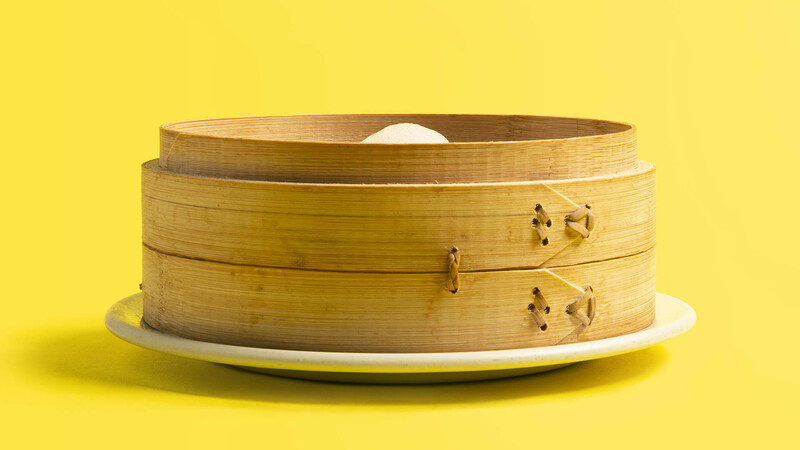 I remember eating these when I was growing up – you'd get four har gaos delivered to you at the table at any dim sum restaurant, and by the time you got to the third one it all tasted quite samey-samey. I think that the rice vinegar foam, plus the little bit of sweet chilli that we put on the dumplings, gives the dish an extra set of flavours that are needed to avoid that samey-sameyness. We've had the incredible honor of having Ferran and Albert Adria, who invented the foam, come to eat at the restaurant, and it was really nice to have the opportunity to take what they've done and give it back to them. 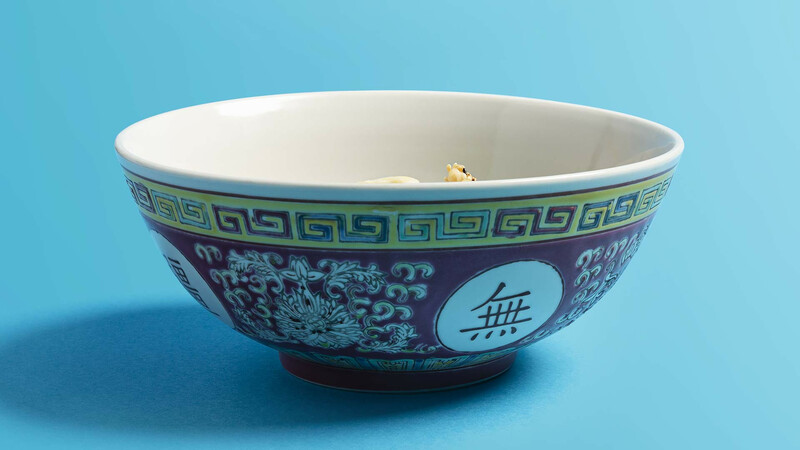 In Chinese cuisine there is this massive misconception about wonton soup: that it's just something a bit 'blah' – it arrives in a bowl and you eat it. But it's massively technical: it uses a hard rice flour dough, dried shrimp roe, a broth made of whole chickens, and dried flounder powder. So as an authentic staple that you might get in Hong Kong for about £6, for the amount of work and effort that goes into it, its apparent simplicity is deceptive. When we do wonton soup here, we try our best with the ingredients that we can get (or smuggle), to pay homage to the traditional processes. 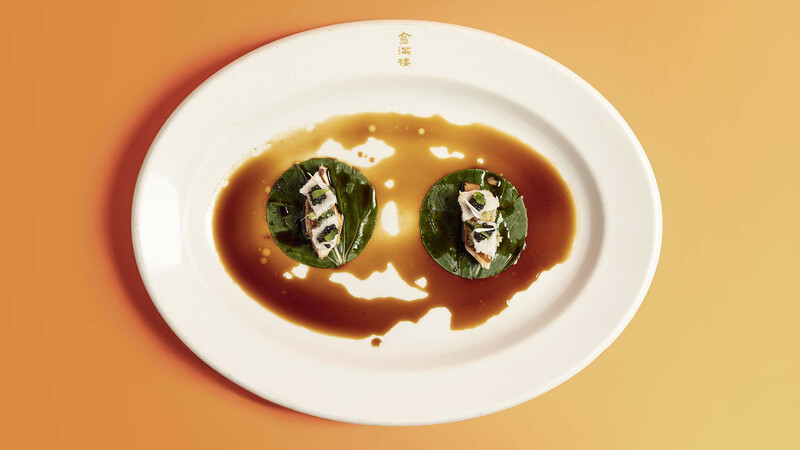 In Kym's we serve it with just a soup; at A. Wong we serve it with a brunch staple, chee cheong fun: a rice roll with dried shrimps on top, and then it's got a soy sauce which we modify with different aromatics, spices and seasonings. When you go to Hong Kong, wonton soup and chee cheong fun is breakfast or brunch central. It's an important food memory for me, and one which I hope that I can get people to appreciate. Kym's centres around soy chicken. It's an incredible process where chicken is effectively slow-poached in a mixture of soy sauce, rock sugar and aromatics. A lot of chefs in 2018 talk about sous-vide cookery – this is sous-vide cookery from 2,500 years ago. The finish is very, very special: you get this lacquered chicken. People come into the restaurant all the time and they still think it's Peking duck. It has this beautifully soft, slithery skin – in China or Hong Kong we talk about this 'slithery' texture of the skin, which is quite foreign to the British vocabulary, but that suppleness of the skin before you bite into the flesh is an incredibly important part the chicken. And then you have the relish, which I think is the ultimate relish: it's minced ginger with spring onion, oil, sugar and salt, and I don't think I've found anything yet that you can't put it on. It's like the tomato ketchup of China. You can put it onto your soups, your noodles, your rice, your soy chicken. You can put it on everything and it works. Find out more at kymsrestaurant.com.